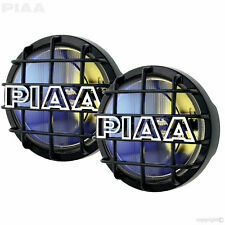 PIAA 6" 520 Series Ion Crystal black drivinglights kit part number 05293�is PIAA�s number one selling truck lamp. These lights feature ion crystal glass that puts out an amber/yellow light that is less reflective than white light thus greatly reducing the amount of glare in extreme fog. PIAA�s patented Ion Crystal technology provides 85watts of light from only 55watts. This kit includes 2 lamps, 2 12V - H3 55watt bulbs, wiring harness, 2 stone guard lens covers, and mounting instructions. PIAA 2100X Xtreme White SMR driving lights kit part number 2192�features a compact size and PIAA's proven Super Multi-Surface Reflector fog beam. The Xtreme White Plus technology is rated at 4000K and providing 110watts of light from only 55watts. These bulbs will provide a brilliant Xtreme cool white light that will light up road hazards and street signs long before a normal halogen bulb. This kit comes with 2 lamps, 2 12V - H3 55watt bulbs, wiring harness,2 stone guard lens covers, and mounting instructions. Bulb Type: H3 Halogen. The reason?. Simply the best combination of fashion and performance in its class. Light Color: Yellow. Housing Color: Black. Lens Material: Glass. Width (IN): Not Applicable. Length (IN): Not Applicable. Bulb Type: H3 Halogen. Housing Material: Polyphenylene Sulfide Plastic. Housing Color: Silver. Lens Material: Glass. Light Color: Clear. The PIAA 40 Series round clear driving light enhances your vehicle’s high beams and give you improved illumination far ahead of your vehicle. It features a black stamped-steel, corrosion-resistant housing, a prism-cut glass lens for optimum clarity. PIAA 6" 520 SMR Series black driving lights kit part number 5294�use PIAA�s computer designed Super Multi-Surface Reflector technology. �SMR technology reduces stray light providing an extremely focused beam pattern without the use of lens fluting. This kit comes with 2 lamps, 2 12V - H3 55watt bulbs, wiring harness,2 stone guard lens covers, and mounting instructions. Beam:Combo beam Led Driving Beam. Led Power: 120W/Pair led work light. Color Temperature: 6000K White & 2000K Amber. 2 x 60W Car Top LED Work Light. Housing color: Black color. We will reply you within 24- 48 hours. Bulb Type: H3 Halogen. Mounting Style: Universal Stud Mount With Pivoting Bracket. Housing Material: Steel. Housing Color: Black. Lens Material: Glass. Light Color: Clear. Width (IN): Not Applicable. Length (IN): Not Applicable. Bulb Type: H3 Halogen. The reason?. Simply the best combination of fashion and performance in its class. Housing Material: Steel. Housing Color: Silver. Lens Material: Glass. Light Color: Clear. Width (IN): Not Applicable. The PIAA H3 Style Xtreme White Bulb part number 15223 provides intense white light at a 4105K rating to illuminate road hazards and street signs long before normal halogen bulbs, with a slight blue topcoat tint for enhanced curb appeal. Manufactured to SAE recommended specifications and DOT compliant standards, this bulb provides 110 watts of light for 55 watts of power (55=110 watt) and is made with a high-quality, heat-resistant tube. Middle 170° flood light surrounded by dual row 15° spot light to bring widest angel and brighest spot in the center, giving you great visibility without eye fatigue or fluorescent lights. Rustproof & anticorrosive 6063 alumimum shell and mounting bracket makes it more durable. The PIAA H3 Style Xtreme White Bulb part number 15213 provides intense white light at a 4105K rating to illuminate road hazards and street signs long before normal halogen bulbs, with a slight blue topcoat tint for enhanced curb appeal. Manufactured to SAE recommended specifications and DOT compliant standards, this bulb provides 110 watts of light for 55 watts of power (55=110 watt) and is made with a high-quality, heat-resistant tube. LED Work Light. Square LED Work Light. LED Light Bar. Motorcycle LED Headlight. LED Headlight. LED HEADLIGHT. 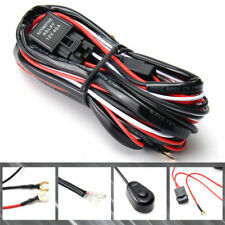 Car led headlight kit. Ultimate Projector Series LED headlight for vehicles with 7x6 sealed beam type headlights (also known as 5x7). The PIAA H3 Style Xtreme White Bulb part number 15286 provides intense white light at a 4105K rating to illuminate road hazards and street signs long before normal halogen bulbs, with a slight blue topcoat tint for enhanced curb appeal. Manufactured to SAE recommended specifications and DOT compliant standards, this bulb provides 135 watts of light for 85 watts of power (85=135 watt) and is made with a high-quality, heat-resistant tube. Part Number: 1124. Spread Beam Pattern or Spot Beam Pattern or Fog Beam Pattern. 100w or 130w Halogen Bulb (depending on Beam Pattern). Single Light - Wiring Harness Not Included. Black ABS Stone Guard. 1 X 162W Work Light. 1 X Wiring Harness With Rocker Switch. • Super Waterproof, shockproof, Dustpoof, Rustproof, Durable;. • Certification:CE FCC IC ROHS IP67 DOT APPROVED. • Material:Diecast aluminum housing. Plug: Factory H4 plug with hi/lo beam function. LED Headlight. Car Led Headlight Kits. Size:4" square spot led work light 2pcs. 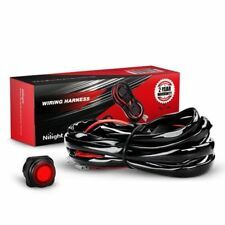 Motorcycle Led Headlight. 4x6 headlight. 7x6 headlight. JK headlight. 2x H4 9003 HB2 LED bulbs Headlight Screwdriver 2 Ribbons User Manual. TURBO SII D6 Series Super Bright High Low Beam LED Headlight Bulb Conversion Kit. 360 Degree Adjustable Beam Angle 6000K White Light Source. 1x 50" 52" 288W dual row Curved LED light bar. Streamline 288W dual row LED light bar. 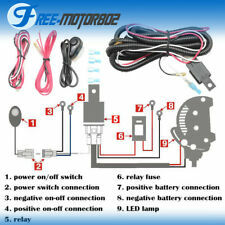 1x free wiring kit w/Rocker Switch. 6pcs 3W intense CREE LED. 2x 4" 18W LED Work Lights. Suitable vertical grooved Fin design provide more surface for faster cooling rate. The PIAA 40 Series round clear driving light enhances your vehicle's high beams and give you improved illumination far ahead of your vehicle. It features a black stamped-steel, corrosion-resistant housing, a prism-cut glass lens for optimum clarity. 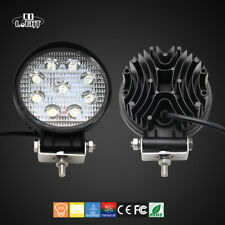 2Pcs Tri-row 27LED 324W Super Bright 32400LM 5.2" Car SUV LED Work Light. Beam angle:120 degree (Flood beam pattern). LED Power:324W. Suitable vertical fins design for better cooling. We will reply you within 24- 48 hours. 40A power relay & 30A In-line safety blade fuse. With each of the harness so one can power up multiple apparatus off of a single on/off switch. Up to 300W Load Capcity : 1 Lead wiring harness with On / Off / strobe function. LED Power: 72W. Mounting Bracket: Adjustable Trunnion Bracket Mount. 2x Mounting Bracket Kits. Including Bracket for Easy Installation. 2x LED Light Bar. LED Number: 24LED. Dual Light Rows with 30-degree Spot Beam Allows for 93% Optical Efficiency. Piaa H3 Bulb part number 13455 is a replacement H3 bulb with Piaa's "Xtra" Technology giving you 85 watts of light with only 55 watts of power. 2 X 120W 40 LED light bar. Beam Type: Combo ( Spot Flood ). · High Power Led Light Bar. · Spot & flood beam integrated in a light bar for optimal light spread. light bar 3D. · We manufacture these powerful, highly efficient LED lights. • Power: 162W(54pcs x 3W). 1 X 162W Work Light. • Beam pattern :Flood Spot Combo Beam. Our goal is to make your choice easier and save your money. Other Policies. • Beam pattern :Flood Spot Combo Beam. 1 X 162W Work Light. • Certification:CE FCC IC ROHS IP67 DOT APPROVED. • Material:Diecast aluminum housing. • Mounting Bracket: Alu firm bracket. • Color Temperature:6000K( PURE White ). 2pcs 7X6" CREE LED projector Headlights. Fits for all 5x7" or 7x6",H6054, H5054, H6054LL,69822,6052,and 6053 Rectangular sealed beam headlight applications. High intensity CREE LEDs. LED Power:180W/pcs ( High beam : 75W, Low beam. ). Beam: 30 Degree spot & 60 degree flood. Specifics: LED Power: 700W. Anti-acid 6063 aluminum housing to prevent harsh weather. High definition PC toughed lens, anti-fog. Unique cooling system design, improving heat reduction and energy saving. EVO Formance Vistas White Bulb. 1-PAIR ( 2 ) LIGHT BULBS. DC12V 40A rated automotive relay. Blade fuse holder with replaceable 30A fuse. pre-instalLED inline fuse. Universal Harness kit with mouse style switch. STRUT TOWER BAR. pre-instalLED power switch. On/off switch with adhesive tape backing for easy mounting. Part Number: 05293. The patented ion crystal lens uses a purple lens coating to transform white light to amber/yellow with no loss of candle power. Built with round, black stamped steel housing, glass lens, 12V-H3 85 watt bulb, and protective black grid style covers, these lights bolt easily onto your vehicle's grille guards or light bars with easy plug-in installation. Features: PIAA's Xtra Technology produces more light with stock power draw Multi-Surface Reflector offers precise beam control to put the light where drivers need it most Good combination of Fashion And Performance SAE Compliant Long Range Driving beam pattern for superior visibility H3 55W x 2 = 110W total Halogen Xtreme White Bulb What's In The Box: Two lamps Wiring harness Relay Switch Installation Instructions 520 SMR Driving XTreme White Plus Halogen Lamp Kit For those who prefer the look of a "clear" lens, the 520 SMR features PIAA's computer-designed Super Multi-Surface Reflector technology. SMR technology reduces stray light providing an extremely focused beam pattern without the use of lens fluting. The number one, best selling light on the market today. • Beam pattern :Flood Spot Combo Beam. 1 X 162W Work Light. • Super Waterproof, shockproof, Dustpoof, Rustproof, Durable;. • Certification:CE FCC IC ROHS IP67 DOT APPROVED. • Material:Diecast aluminum housing. Part Number: 04062. The PIAA 40 Round Style Clear Driving light enhances your vehicle's high beams and give you improved illumination far ahead of your vehicle. It features black stamped-steel, corrosion-resistant housing, a prism-cut glass lens for optimum clarity, and a powerful 12V-H3 55 watt quartz halogen bulb. 2pcs 7x6" LED headlight. Multi Beam - Low beam and high beam with DRL Center strip. LED Headlight Bulbs. LED Headlight. LED Work Light. LED Light Bar. It's just take you few seconds. 2 years manufactured quality warranty. Part Number: 02192. The complete light kit includes two lights, pre-assembled wiring harness, relay and switch. Wiring harness. What's in the Box?. Beam Angle: Spot (30 Degree) & Flood (60 Degree) combo. Spot & flood combo pattern in a light bar for optimal light spread. Pending aperture system blocks unused light for a clean beam. Working Temperature: -40 to 85 ℃ / -40 to 185℉. 1 X 162W Work Light. • Super Waterproof, shockproof, Dustpoof, Rustproof, Durable;. • Certification:CE FCC IC ROHS IP67 DOT APPROVED. • Material:Diecast aluminum housing. • Mounting Bracket: Alu firm bracket.